CM Scientific is a European distributor for GT Advanced Technologies' Advanced Sapphire Materials Group, formerly Crystal Systems Inc., based in Salem, Massachusetts, USA. GT's Advanced Sapphire Materials Group is the world's leading supplier of HEM Ti:Sapphire and low absorption optical sapphire (LAOS). For full details of the GTAT Advanced Sapphire Materials Groups' product range and capabilities please visit their web site. Ti:Sapphire crystals are grown using the Heat Exchanger Method, (HEM). This unique method of growth allows for production of the world's largest Ti:Sapphire crystals, with excellent optical and thermal properties. The growth of our crystals takes place in a reducing atmosphere in order to maximize Ti3+ ions, thereby reducing parasitic absorption and maximizing FOM (Figure of Merit) values. 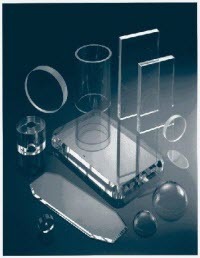 The superior homogeneity and low wave front distortion of our laser rods allow laser systems to reach high energy levels without sacrificing beam profile quality.� Current production of amplifier crystals of over 200 mm in diameter are ensuring success at the next generation of high intensity laser facilities. GT's advanced sapphire material is recognized as the highest commercial quality sapphire available with excellent optical, mechanical and transmission properties. Our advanced sapphire production capabilities give our customers the quality and flexibility they need to meet material requirements for the most demanding applications. GT�s HEM� sapphire is the most widely used optical sapphire in the world.� HEM sapphire exhibits the unique capability of having a broad transmission range from the vacuum ultra violet (VUV), to the infrared (IR) spectrum.� HEM sapphire combines high optical transmission, low transmitted wavefront distortion and outstanding mechanical-strength properties at high and low temperatures. Data shows that the homogeneity for all grades of HEM sapphire is in the 0.1 ppm range. This superior crystalline structure combined with low inclusions levels supports excellent performance in a wide range of optical window applications for aerospace and high power lasers and resonators. 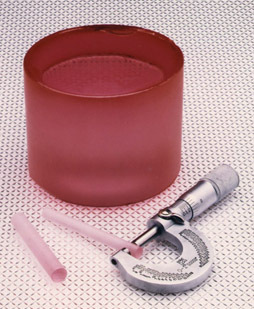 GT�s HEM sapphire is used in many mechanical applications because of its large size, strength, abrasion resistance and chemical stability.� HEM sapphire has undergone extensive compressive and tensile strength testing at many different temperatures in order to understand its intrinsic failure modes and suitability for different applications.